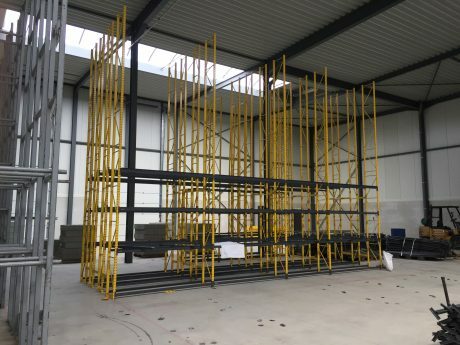 Our customer in the tyre sector, specialized in earthmoving and EM tyres, sought out a partner in warehouse equipment for the expansion of their existing racking in their new business premises in Genk, België. 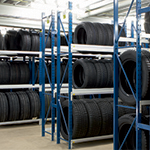 Europe Racking was chosen as a partner for delivering additional tyre racking systems. 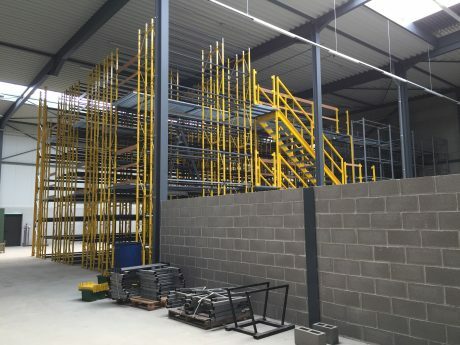 The new business premises located in Genk, Belgium, had to provide extra storage capacity. Together with our customer, our engineers have started working to meet all wishes and business needs. The customer already had existing Europe Racking tyre racking systems. And it was no problem to reuse this in the new warehouse, while adding extra racking to increase storage capacity. Because Europe Racking’s tyre racking system is easily expandable, moveable and adaptable, this expansion was no problem for the engineers and mechanics of Europe Racking. 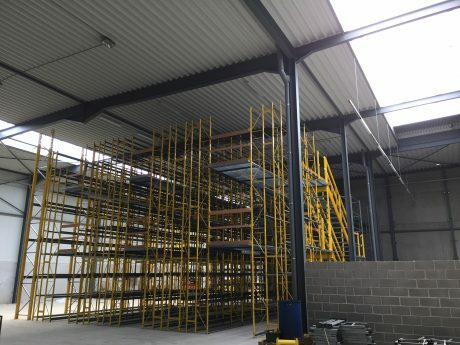 Because Europe Racking’s tyre racking systems can be used as the base for a mezzanine system floor, we could increase the storage space for our customer. 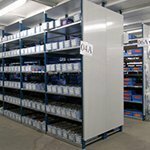 Our tyre racking system can be build up to 3 floors, making more expensive free-standing floors unnecessary. 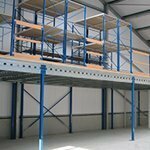 This construction with mezzanine flooring comes complete with railings, stairs and your choice of grid or wooden floors. 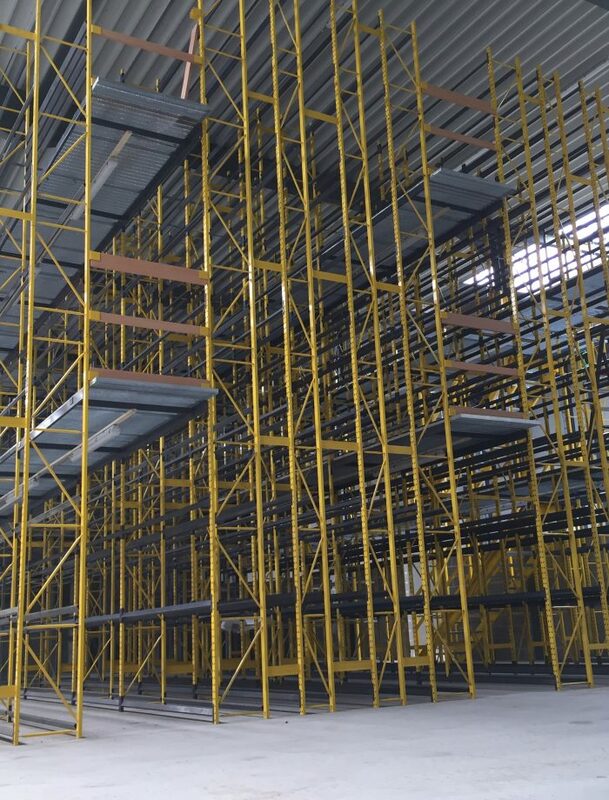 All with the guarantee of a strong, safe and flexible structure for your warehouse. The tyre racking was delivered in the same colours as the existing tyre racking system the customer already had from Europe Racking. Due to our wide range of RAL-colours, we can make sure that your warehouse fits into the customers corporate colours. 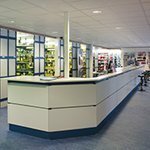 We at Europe Racking are pleased to offer our customer a high quality solution that can support him in strengthening his competitive position. We wish our customer a lot of success in their new business location.